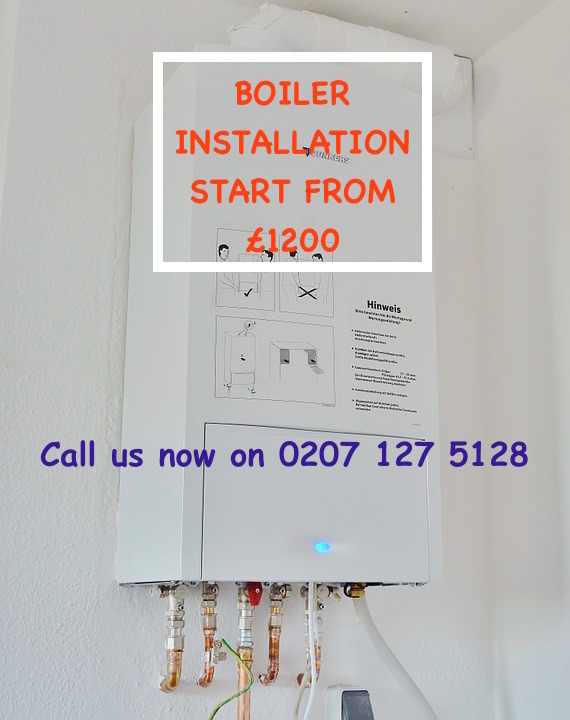 If you need a replacement gas boiler, boiler installation or heating boiler quotes, then you have certainly come to the right place. Cenultra is a trusted company provides trouble free, no obligation boiler related quotes. Getting a brand new combi or system boiler quote can often be painful – requiring a surveyor to come to your home to supply you with an approximate combi boiler quote. After a round of negotiations, a suitable cost is agreed upon and you can lastly get your new boiler installation booked. This process can be lengthy and time consuming. Simply you ask for a free combi or system boiler quote from us – we’ll do all the hard work for you plus we’ll offer the most affordable gas boiler quote guaranteed – in your local area. Keep in mind! Our quotes are no obligation. Call us now for a boiler quote on 0207 127 5128. In order to get accurate prices and because every central heating system is different, engineers should check the job. These checks are free and will provide you with a chance to explore the professionalism of the quoting company. We are a gas safe registered business. So you have the comfort knowing getting a boiler quote in London is from an approved installer. Up to 7 years guarantee. We provide three quotes for different types of boilers. A combi boiler is a system that gives both hot water and heating direct from the boiler itself, hence the name ‘combination boiler’. When we talk about a ‘combi boiler‘, we’re usually talking about one using gas. Electric and oil boilers are available on the market, but should be restricted where possible due to high fuel costs. Combi/ combination boiler quotations start from £1200. A system boiler, just like a normal (conventional) boiler works on the principle of stored hot water. Nevertheless, a system boiler differs from a regular boiler in some crucial aspects. First of all, many of the major specific parts of the heating and hot water system are made of a system boiler, which means that installation is quicker, neater, easier and more reliable. Furthermore, the hot water is pumped from the system boiler through the heating system to the radiators and hot water cylinder, reaching to a fast response and more affordable running costs. The system boiler eliminates the need for a feed and expansion cistern. There are two types of system boilers: sealed and vented system boilers. A vented system boiler needs an expansion tank in the loft while a sealed system boiler has a built-in expansion tank together with other safety controls. Both types require a hot water cylinder, however, if a sealed system boiler is combined with an unvented cylinder, there is no requirement for a cold-water storage tank. System boiler quotations start with £1700. What is a regular / conventional boiler? Regular boilers (in some cases called conventional, traditional or heat only boilers) are preferably suited to properties that already have a traditional heating and hot water system which is linked to a separate hot water cylinder. These boilers also need a cold water tank in the loft to feed the hot water cylinder along with a tank that maintains the water level of the central heating system. Conventional boiler quotations start from £1750. A condensing boiler is a very efficient type of boiler that recycles the waste water vapor that a lot of boiler systems lose. Recycling instead of losing this water vapor enables these boiler systems to reach up to 90 % efficiency, a level that may be 20% to 33 % better than a conventional boiler system. The main part of a condensing boiler is the heat exchanger which is created to take heat from one fluid and transfer it to another. When that occurs the water vapor that would have been lost turn liquid water which is drained. Simply, you will not notice any vapor coming out of your flue if you use a condensing boiler since that the energy in that vapor is being reused. Condensing boiler quotations start from £1650. Prior to we offer you a quote for your brand-new boiler installation, we will carry out an inquiry of your existing gas installation, measure mains water flow rate and pressure, take a central heating water sample, also check where you wish to install your gas boiler and if it can be installed to current rules and building regulations. Following the survey, we will discuss which boiler you would choose and produce an estimate and contact you firstly via telephone then follow up in writing either by e-mail or post. If our quote is accepted, we will organize a time and date at your convenience for the work to start. Valiant boiler quotes start from £1500. Worcester boiler quotes start from £1700. Main Combi boiler quotes start from £1600. Whether you require updating your existing boiler for a new A-rated condensing model, are interested in removing your hot water tank, or want to enquire about sustainable options such as biomass– Cenultra can help you discover the very best boiler quote. We have been providing our services for several years, and we would be delighted to speak with you today if you are considering getting a new boiler quote in London today. No one else offers the same high specifications or low prices as we do, and we believe you will be extremely pleased with the price we give you. We’re now offering free boiler quotes to all landlord, homeowner, estate agent and business in London, Kent, Sussex, and Essex. We have a huge range of energy efficient boilers designed to save you money on your heating bills and offer you the very best service at all times. Speak to our team today on 0207 127 5128.